The track is rated “SOFT” (Thursday morning) and the rail will be in the true position for the entire course this weekend. There is a chance for rain in the coming days – who knows how the track will become race day! 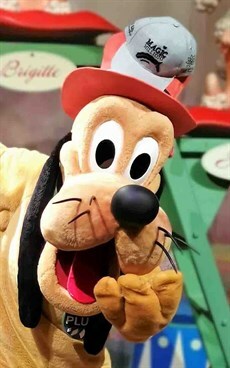 I have just finished my next leg of my USA trip – visiting the tourist areas in Orlando – NASA, Disneyland, Universal Studios and some shopping malls – not much to report in the way of horse racing or gambling. However, I did manage to see the Patriots win again. 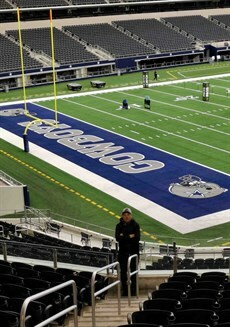 Whilst talking about NFL I did manage to visit the Dallas Cowboys home stadium – the AT&T Stadium. I did a behind the scenes tour of the stadium sometimes referred to as “Jerry World” named after Dallas Cowboys owner Jerry Jones, who was instrumental in the design and execution of the stadium and envisioned it as a large entertainment precinct. The stadium seats 80,000 fans – and has standing room for another 25,000. The layout and design were superb! One feature that I found stunning was that the Stadium has no traditional pillars and other structures that inhibit clear viewing from the fan’s perspective. The Stadium is built around two enormous 91 metre arches that run from end to end of the Stadium and form the main structure of it. Smack bang in the middle of it is a suspended gigantic TV that was the largest in the world back on 2009 – constructed by Mitsubishi it is 49 metres long and 22 metres high – it just must be seen to be believed! If the Queensland Government is planning stadiums in the future the design of these entertainment meccas in the USA must be considered! Back to racing now – I see that Darren Weir has copped a 4-year suspension on the chin. I feel sorry for the workers and businesses directly linked to his massive organisation that may suffer with the demise of the stables. I just hope that the powers in charge look to ensure that stables not only in Victoria but across Australia do not have a monopoly on the sport in the future. For if this type of event were to repeat itself in other large stables across Australia the fall out would be massive. Maybe a cap on horses that any one trainer may have on his books is something that may be investigated. This would in turn strengthen country racing and trainers around the nation. Just an idea – food for thought? Lastly, it is my birthday on Saturday – I will be in Atlanta on that day – I have VIP tours at CNN and the Coca-Cola organisations booked. Watch out for WINNO trying to make the CNN news! Well now that I am up to date – let’s preview the Doomben card this weekend. NB: As this form assessment was made prior to race-day, please check final fields and track conditions for any changes on the day. I think Bigboyroy (2), a Chris Waller Gold Coast trained runner here looks hard to beat here. His debut at Eagle Farm a fortnight was impressive. He has drawn the rails and he has trialled well on soft going so that makes me more confident. Robert Heathcote has Guntantes (1) having his second run from a spell. The blinkers go on this weekend for the first time. His run first up looked okay on the video and he will be the testing material this weekend. I had a big tip last start for the Kris Lees trained Raay of Dreams (6) after her unlucky debut at Tamworth. The run at the Sunshine Coast was nothing flash, but now she has settled in maybe she could improve and prove to be a knock out chance. Leshrac (3) is trained by Matthew Dunn at Murwillumbah. This runner made his debut in the first two-year-old race of the season back in September last year at Toowoomba. He has had a let down since then and one trial under his belt. He may be one to watch if there are any market moves. A small dynamic field here to face the starter. I was on the Steve O’Dea trained Reckless Choice (2) on Magic Millions Day when he went down in the final stride by a $101 shot – Mr Markou. The ride on that day by Tim Clark was superb. Since then he has had a run in Sydney and now returns to his home State. Boris Thornton rides the gelding and he has 3 previous wins on him. He will be hard to beat here. Saxton Rock (3) was disappointing for mine last start at the Sunshine Coast. Maybe coming back to Doomben where he has won before and a senior jockey aboard this weekend may see a change of fortunes for this runner. A 2200 metres race – probably on a wet track – there is not a lot to like about the race to be honest. I’m going for the Barry Lockwood trained Naked (4) who has some solid wet track efforts under his belt. His last run was very good at Eagle Farm when narrowly defeated. The claim for Corey Bayliss should see him be competitive here. Pickelhaube (5) is a runner from the Newcastle stables of Kris Lees who has been sent north looking for some Queensland prize money. His runs on paper do not look that flash, however, I think that he has been looking for a distance like this race gives him and Larry Cassidy will suit the four-year-old gelding. Miss Sara (7) loves wet tracks and is trained by Les Ross who had a birthday during the week – maybe this would be a great way to celebrate that birthday with a win on Saturday! Archer’s Paradox (3) was good again last start leading all the way at the Sunshine Coast a fortnight ago. He goes okay on wet surfaces and will be difficult to run down again. Defence Missile (2) is another Les Ross Racing runner. His first up effort in the same race as Archer’s Paradox (3) was commendable. One thing to note here – this runner loves the wet – so if the track is worse than slow he will be right in his element and will be difficult to hold out. Tony Gollan has four of the ten runners in the race. I think the pick of them is Godfather’s Girl (8) who should race handy. She won a recent barrier trial at Doomben impressively. A large open field here. This will be challenging! 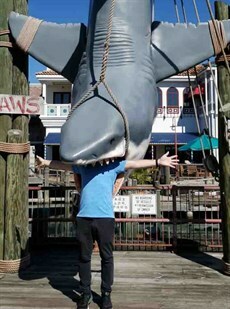 I think I am happy to be in the USA! Billy Healey trains I Am Venus (12) who won impressively first up from a spell on her home track a month ago when ridden by Jimmy Orman. The pair combine here again here and Billy will be looking for his first metropolitan winner for a while. Now I have not tipped her on top I can just hear his voice now, “You are kidding WINNO” or a message on messenger, “What drugs are you on”. Then on the other side part owner BIG (well not so big now) part owner Darren Wilson will now say she is a special as I have potted her this weekend! I am going for the Tony Gollan trained Bright Idea (11) at some decent odds of around $17 to get the chocolates. I thought her win over 1015 metres at Ipswich was great. Then she stepped up to 1200 metres at Eagle Farm on the opening of the track and she was not disgraced when she ran a close seventh to Desert Man. Since then she has had a break and a recent trial – now the trial was not all that flash, however stepping out for the shorter race here this weekend, first up, I am hoping she runs well fresh. I like an emergency here as well at around $81 if you want to scout wide in the race. The horse is Crazy Pops (18) trained by James Hepworth. Forget the last run where he finished tailed out last – he was caught wide and had no luck. Since then he has won a barrier trial and will appreciate the slow going. Ben Currie has the favourite here, resuming here from a spell – Whycatchim (4). He has drawn well in barrier 2, has performed well in the past fresh and has won a recent barrier trial on his home track at Toowoomba. Clayton Gallagher has been booked to ride this one and his claim will be very handy here this weekend. We have a small field here after some early scratching’s for the first leg of the treble this weekend. Langhro (10) is a debutant for the Steven O’Dea stables and looks well placed here for this first up assignment in Queensland. His previous runs in Victoria have been solid and in this grade he should be competitive. Goodonya Sonya (11) resumed midweek and was impressive winning first up. She goes up in grade here, however, is down in weight and has some previous wet weather track form. Bargannon (6) from the Vandyke stables on the Sunshine Coast was a winner first up as well at Ipswich. He has never won second up before, however, has been placed on each run second up. Jeff Lloyd is booked for the ride. Super Suave (5) from the Liam Birchley stables could fill a place at odds here – he likes wet tracks as well! Spending My Time (7) trained by Paul Nolan (Jnr) has had two starts back from a spell. I think this weekend he looks well in here to finally return to the winner’s circle. Jag Guthmann-Chester is aboard this runner who handles wet conditions. Chris Anderson trains Boomtown Lass (6) who performed well in the Magic Millions maiden feature race before coming out and winning at Ipswich last start in fine fashion. On that occasion she bounced to the lead and dominated the race to score easily. I am not sure whether she will get things her own way in front this weekend, however, she will be very competitive. Leroytheconquerer (10) is looking for his maiden win in the city. His recent runs suggest that he is knocking on the door and it seems that trainer Damien Batters must think he is a chance this week by booking Jeff Lloyd to ride the three-year-old gelding. This is an open race. I think if Oink (9) is ever going to win a race it may be this race. He loves the 1350 metres at Doomben but he always just seems to find one just going a little bit better than him each time he goes around here. This weekend he is down in the weights – drawn ok to be placed midfield by Jimmy Orman and surely gets his chance to win. If you are looking for a knock out chance to salute and take glory away from Oink (9) it is likely to be the Tony Gollan runner El Campeador (10) at any old price. He performs well here and loves wet tracks and drops back in class from his first up run at the Sunshine Coast. He is huge odds as well at $21 – this is normally the price he wins at! The favourite is Star Reflection (6) and he motored home late behind Snoopy last start at Eagle Farm over 1200 metres. Stepping up to the longer distance will suit this runner. I am just looking for some value in my other two selections. The last race of the day over the mile. A small but even field to face the starter. The Chris Waller pair of Le Ruge (3) and Shadal (6) look like they have the race between them here. I am going for Shadal (6) who has been winning in midweek company. I think he can successfully make the transition to weekend grade and Michael Cahill will have him placed and ridden to perfection. Le Ruge (3) was impressive last start winning at the Sunshine Coast – it must be noted the Robbie Fradd won on both Waller runners last start and has elected to stay with this one. I think he has chosen the wrong one! Les Ross has Mishani Bullitt (1) going around in a last chance to claim a birthday present! This runner has had no luck and just always seems to find trouble in his runs. He loves wet tracks – this weekend Brad Stewart has been booked to take the ride. Brad is riding in career best form – he may be the “X” factor that this four-year-old stallion needs. Arazona (10) has been knocking on the door – he could show up at odds as well. WINNO claimed a lucky win in our tipping competition last weekend. FLEMO had a weekend off as he has been unwell. I hope he is back calling this weekend – all the best mate with your health. Remember to check out our last-minute tips and preview on Facebook on Saturday morning after the track racting and final scratchings have been sorted out! 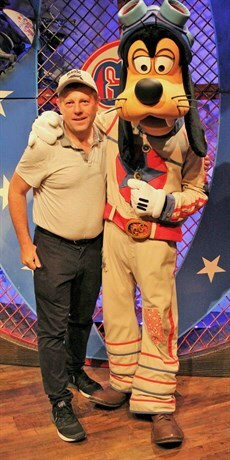 I know some people will ask … which one is Goofy? If the Queensland Government is planning stadiums in the future the design of these entertainment meccas in the USA … such as the Dallas Cowboys AT&T stadium … must be considered! I hope you all have a happy and profitable day on the punt at Doomben on Saturday!